New gear, dBTech Opera 600watts, 12" speakers, on stands. Includes a mixer and two aux cables for your phones and laptops. $170 you pick up & return, overnight or weekend hire. Ellerslie depot. 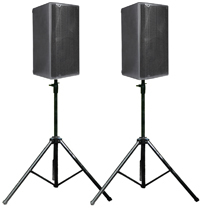 Proel Flash 12HDA, 600watts, 12" speakers plus a little mixer. Includes two aux cables for your phones and laptops. $260 includes free delivery, set-up & collect in Auckland metro. $150 You pick up & return overnight or weekend. Ellerslie depot. SPECIAL you collect & return to our depot, overnight or weekend hire. 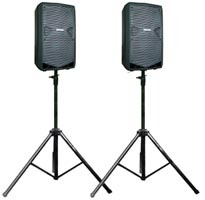 $120 Proel Flash AV2, 300watts, 12" speakers, a little mixer and all the cables. New gear for DJs – for a bigger bass sound without adding a sub. 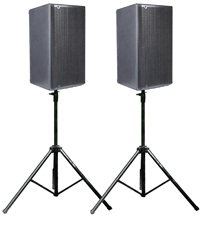 dBTech Opera 15" speakers, 600watts RMS, 1200watts peak, & mixer. $290 includes free delivery, set-up & collect in Auckland metro. $190 you pick up & return, overnight or weekend hire. Ellerslie depot. 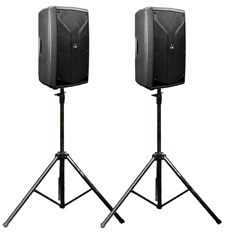 For small promotional events and background music – all cables supplied. 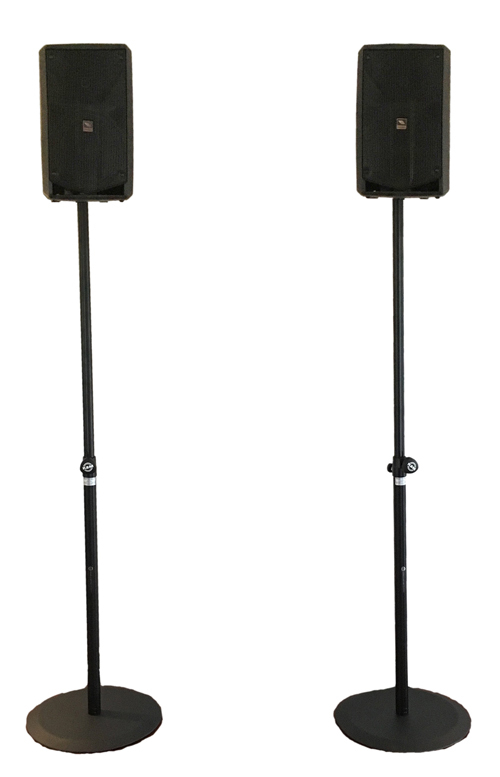 Two small Proel Flash 200watts, 12" speakers on stands plus a little mixer. $140 you pick up & return overnight or weekend. Ellerslie depot. For spoken word events where vocal clarity is the priority. plus a QSC GX5 digital amp, microphones are extra, see below. $30 vocal mic, Shure SM58, cable, clip and stand.
" I think they (System #5.2) are excellent value, it all went very well indeed, great service from start to finish, I'll definitely be recommending your services." Callan B. - Best Man. 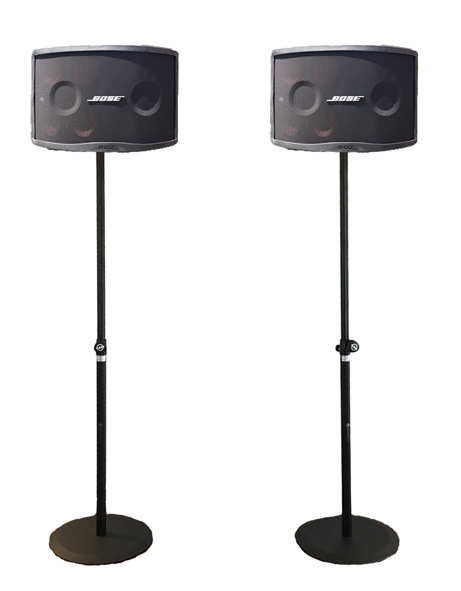 See DJ set ups at some recent events using System #5.2 speakers. We can add to this system with a projector, lighting and staging. but check the fine print, our prices include set-up & sound check.